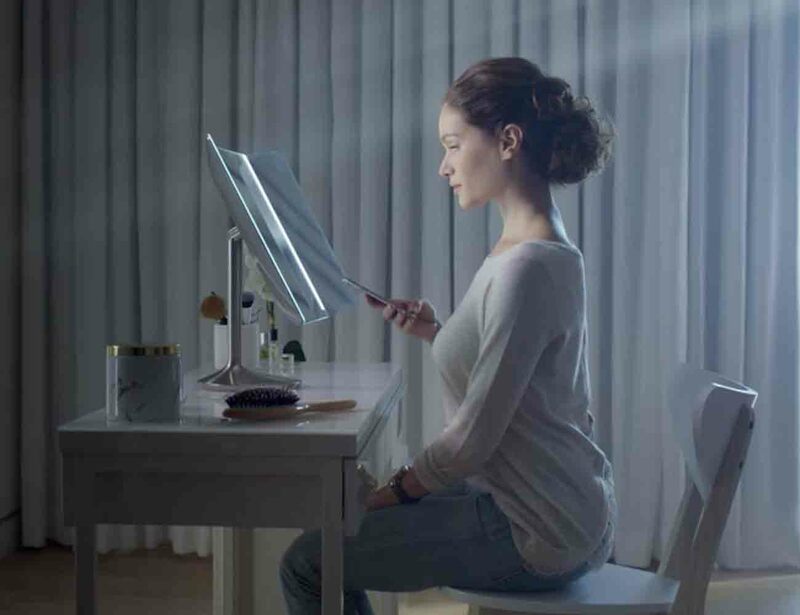 Achieve your look by using advanced technology with the Wide-View Sensor Mirror by simplehuman. 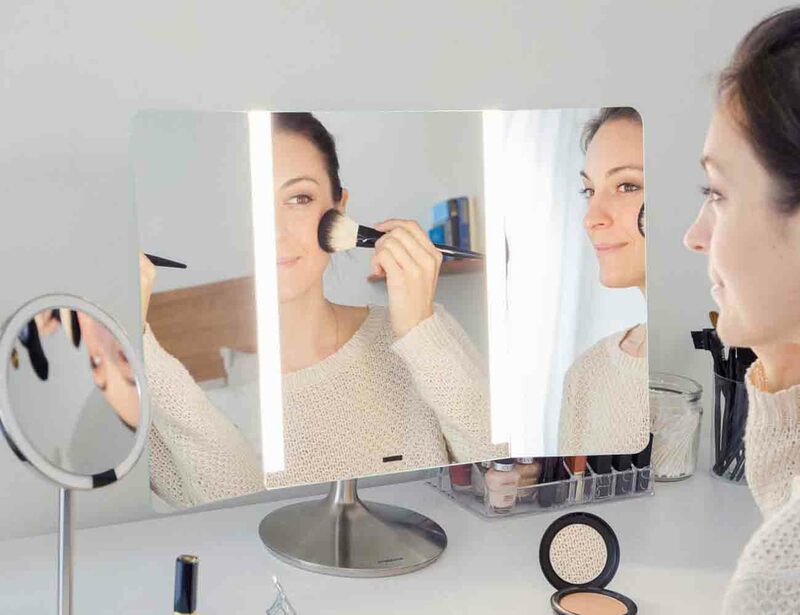 Connected to an app on your smartphone, this revolutionary mirror is able to show your reflection in lighting settings from all over the world so you can have the best make up literally everywhere you may go. 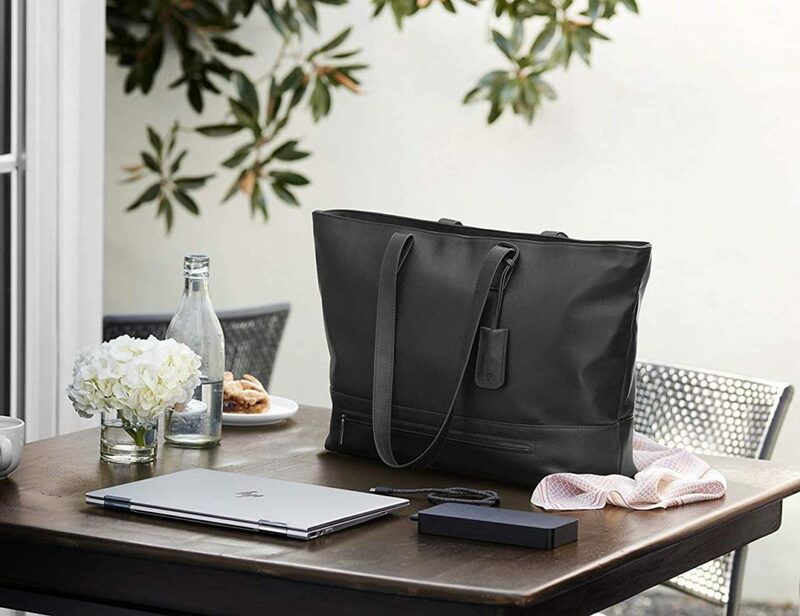 The smart tru-lux lighting system simulates natural light so you can color correct to perfection every day. The Sensor Mirror is intelligent, too. 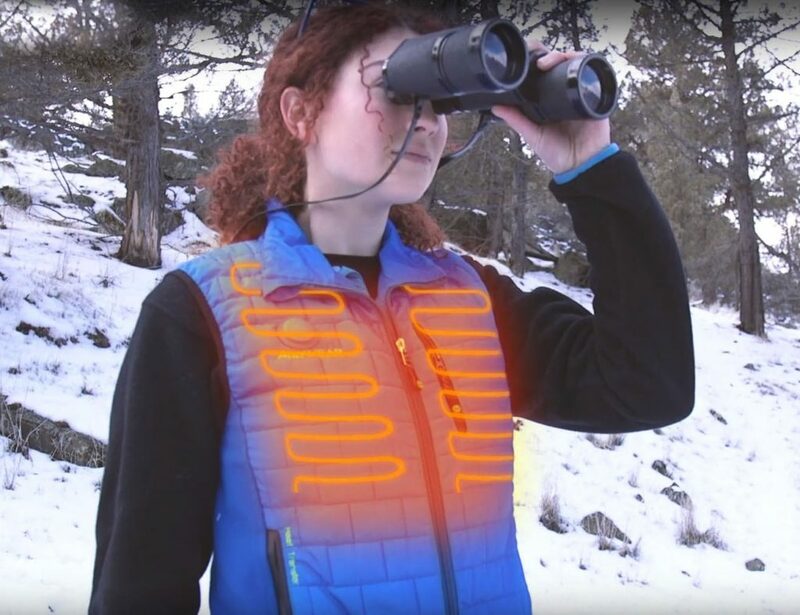 As you approach, it wakes up and illuminates your face with adjustable and customizable brightness settings. The lights even act as a gentle alarm by dimming slightly when it’s time to get moving. 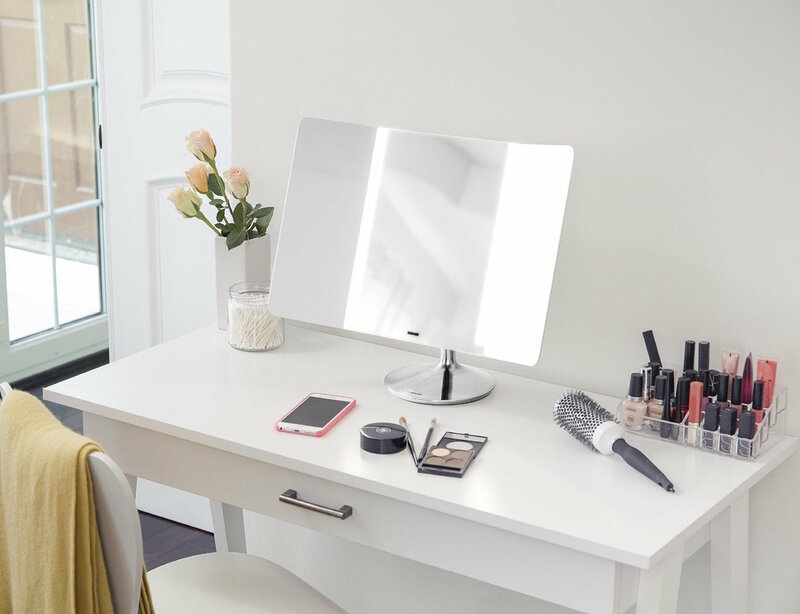 Lasting up to three weeks on a single charge, the Sensor Mirror has folding side panels so everything is in sight. 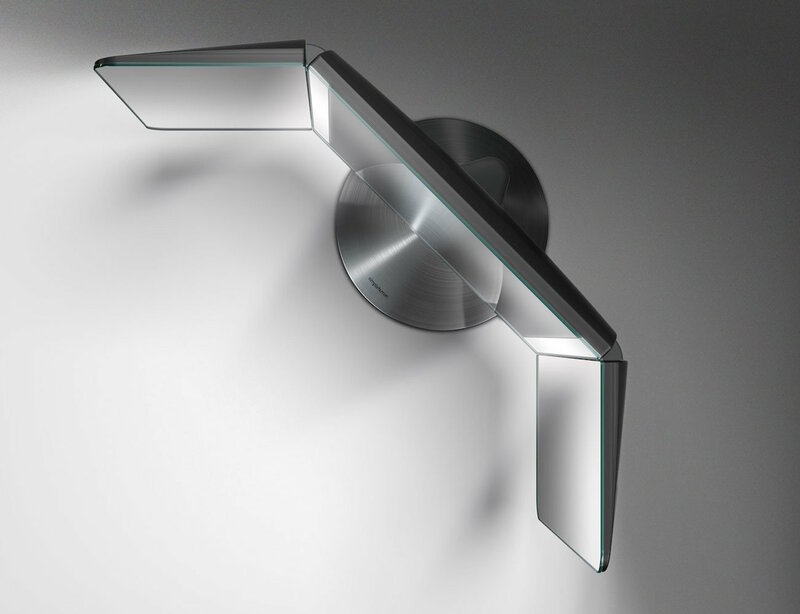 The Sensor Mirror is available in five different magnification levels.